Hitting its third year of airing this month, Meralco Advisory has fast become the customers’ main source of information on power-related issues, including rates movement and energy efficiency tips. 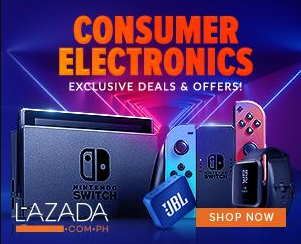 Meralco Advisory is a monthly material released to the public through TV, radio, and digital platforms which aims to educate and uplift consumers’ lives with updates on rates, as well as news on the company. As seen in the photo, Meralco Spokesman Joe Zaldarriaga and Maita David of Customer Retail Services go on air every month to explain the power supply chain and provide various energy efficiency, safety, and customer service reminders useful in a consumer’s everyday life. 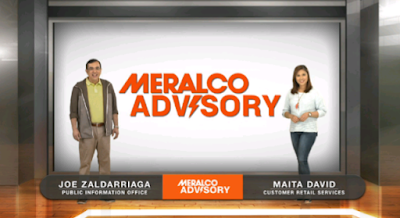 To watch Meralco Advisory online, visit the Meralco Facebook page @meralco or Meralco’s YouTube channel meralcoph.